WITCHWAY: Finally! Book 3 is in a proper draft. Finally! Book 3 is in a proper draft. After struggling to write with all the distractions of cancer in the family and trying to get the house ready to sell, book 3 is finally all in one place. It's also an unholy mess, as the longer I take to write a book the more room for mistakes there is, changes of heart, plot lines that peter out into nothing, characters that just wander off and I forget to explain or, you know, massacre. It's finally all in one place along with a few blank pages with 'Jack chapter - how does she get to Dartmoor???' at the top. So far, it's 87k of vaguely coherent story, but I'm worried that I've been accumulating characters as the story goes on in the series and now there's way too many. Time for a serious prune or even, when I rewrite book 2 next week, the necessary movement of some stuff into book 2 to take the pressure off book 3. Life is strange without a phone, and very intermittent internet. In some ways it's more manageable and it's helped with the distraction of 'Oh My God It's Cancer' which still has the odd echo rippling through the family. I miss speaking to family, mostly, as the mobile option is a bit poor in our convoluted geography. Next week I shall be ready to blitz book 2 into shape (hopefully) with possibly the odd addition from book 3. But my mind has already turned to the sequel to A Baby's Bones, an archaeological mystery. The sequel is set in Moretonhampstead and I'm looking into maybe sneaking away for a couple of days to go and see the site of a strange ghost sighting at Lustleigh Cleave. A servant girl, walking back over the moor to see her parents some miles away, saw a group of Neolithic hunters, and the description by Theo Brown, a folklorist, caught my interest. Great area for atmospheric locations for stories! After a sunny morning, it's started raining again. A half-drowned buzzard has just landed on the conservatory roof. Maybe he'll hold it down, because all the storms have played havoc with our roof! 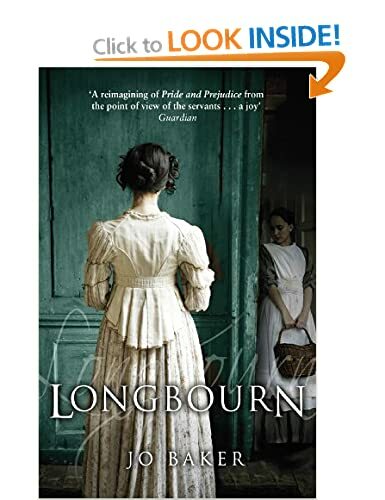 For light relief I'm reading 'Longbourn', a charming retelling of the over-told Pride and Prejudice story - but from the servants' point of view. Loving it. Hi Reb - busy times! My mother recommended Longbourn as well. Will look for it. I hope you enjoy Longbourn, Downith, I loved it! Nice twist at the end, too.